The argument for the safety of many of these ingredients is that we consume them in our food so what’s the difference? Well in fact there’s a big difference! When ingested, the majority of environmental toxins are eliminated from the body by the gastrointestinal tract. This is our bodies natural defense against harmful substances. Our digestive system is designed for this, and is our best line of defense and where the bulk of our immunity lies. When injected directly into a child’s blood, these toxic substances have completely bypassed the bodies natural protection and wreak havoc. Whereas they would have been largely eliminated if ingested, injected in a vaccine they can more easily affect the brain and other vital organs. All are not necessary for human function. It is argued that some of these toxins are used to ensure a better reaction to the vaccine. The part that is ignored is the fact that the antigen (the viral component of the vaccine and the most expensive ingredient) does not need any help when administered in sufficient doses. This raises the question, why are vaccine manufacturers cutting down on antigen and inserting cheap and nasty additives? Another argument is that they’re a necessary preservative to prevent infection in multi-dose vaccines. This raises the question, why do we need multi-dose vaccines if the number 1 priority of vaccine manufacturers is your child’s safety? A neurotoxic mercury which is extremely toxic to humans by inhalation, ingestion, and in contact with the skin, but magically ok when injected into the blood of a child (sarcasm). Thimerosal is also a cumulative poison meaning the body has a hard time getting rid of it, and it builds up in your body over time, especially in the central nervous system and kidneys. The toxic effects of mercury poisoning include damage to the brain, kidneys and lungs, with symptoms including irritability, emotional instability, tremor, mental and memory disturbances, and speech disorders demonstrating it’s attraction to the central nervous system. The cumulative nature of the toxin can result in delayed onset of symptoms, and can even lead to death. Mercury crosses the placental barrier from mother to child, with levels in the fetal brain 5-7 times that of maternal blood, showing the elevated effect on infants from their mothers exposure. It also has a toxic effect upon human reproduction, and can permanently damage the brain, kidneys, and developing foetus. There are 50 mcg in one average flu vaccine, and the EPA safety limit is 10 micrograms for a 100KG adult, makes sense right? Thimerosal was used as a preservative so that multidose vials of vaccines could be used instead of single-dose vials, which are more expensive. Not what you want to hear when talking about your child; “this vaccine contains one of the most toxic substances on Earth because it allows us to achieve higher profit margins”. However some vaccine manufacturers also include thimerosal in the production of single dose flu vaccines completely contradicting this claim. 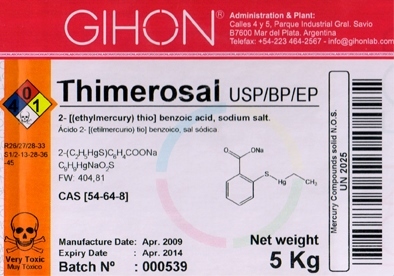 Thimerosal is also very toxic to aquatic organisms and may cause long-term adverse effects in aquatic environments. When disposing of dangerous mercury containing items such as thermometers and fluorescent bulbs, they are recommended to be disposed of as hazardous waste. In the event of a mercury spill, the CDC advises use of a chemical protection suit including self-contained breathing apparatus, and to not let this chemical enter the environment, not something that sounds safe for injection into your child. A colourless, flammable, strong-smelling, highly carcinogenic chemical used in the manufacture of plastics, industrial chemicals, nail polish remover, paint, explosives, and to embalm corpses. Formaldehyde is toxic by inhalation, by skin contact, and by swallowing, but once again we see that magically it becomes ‘safe’ when injected into a small child. 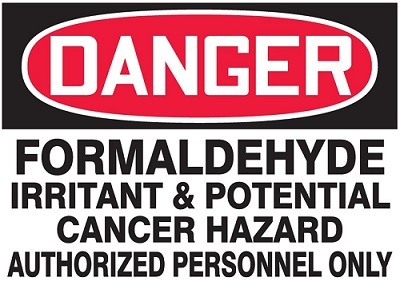 One of the most hazardous compounds to human biology, formaldehyde can cause dermatitis and skin irritation, asthma, headaches, depression, mood changes, insomnia, irritability, attention deficit, memory and central nervous system impairment, liver damage, gastrointestinal issues, reproductive deformation, respiratory distress and cancer. Formaldehyde, linked to leukaemia, is known to be a human carcinogen or cancer causing. Formaldehyde has been known to fail to deactivate the virus the vaccine is intended to cure, thus enabling a live virus to enter your blood and infect your system. In humans, the ingestion of formaldehyde has been shown to cause vomiting, abdominal pain, dizziness, and in extreme cases can cause death. Imagine what injecting it directly into the blood of a small child will do. The CDC recommends avoiding all exposure, and again, in the event of spillage, personal protective clothing including self-contained breathing apparatus are advised. No wonder kids cry like crazy after receiving these injections, it must hurt like hell! Even the US EPA has proposed rules to protect Americans from exposure to formaldehyde. An excipient or buffer in vaccine manufacture. Used in pharmacology to assist in the disruption of the blood-brain-barrier which can persist for weeks once administered. Polysorbate 80 makes it possible for substances that the brain would normally be protected from, being able to cross over the protective barrier and enter the brain. 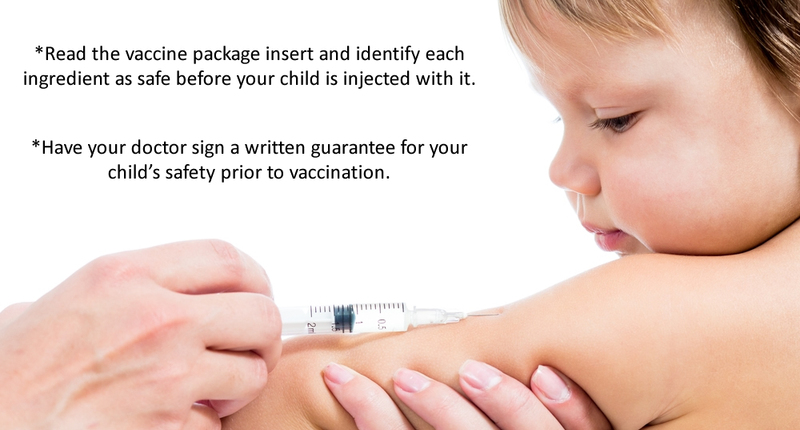 What role does a viral antigen, or other toxic vaccine ingredient have in a child’s brain? Polysorbate 80 has been shown to increase the risk of serious side effects including blood clots, stroke, heart attack, heart failure, and death. It has also been shown to shorten overall survival and/or increase the risk of tumor growth or recurrence in patients with certain types of cancer. Increase the risk of tumors? A medical study involving injecting newborn female rats with Tween 80 (Polysorbate 80), found that Polysorbate 80 “accelerated maturation, prolonged the oestrus cycle, and induced persistent vaginal oestrus. The relative weight of the uterus and ovaries was decreased relative to the untreated controls. Squamous cell metaplasia of the epithelial lining of the uterus and cytological changes in the uterus were indicative of chronic oestrogenic stimulation. Ovaries were without corpora lutea, and had degenerative follicles”, or in other words the rats were infertile. The package insert for Fluarix mentions that the safety and effectiveness have not been established in pregnant women or nursing mothers. If your fertility is compromised, laws passed protecting vaccine makers will prevent you from holding the vaccine manufacturer responsible. In a display of how information has been altered by government and vaccine manufacturers over time, 2008/09 vaccine package inserts for Fluarix stated: “FLUARIX has not been evaluated for carcinogenic or mutagenic potential, or for impairment of fertility”, fairly important things to be evaluated for don’t you think? Even though the 2014 package insert for Fluvax states: “It is recommended that influenza immunisation be offered in advance to women planning a pregnancy, and to pregnant women who will be in the second or third trimester during the influenza season, including those in the first trimester at the time of vaccination”, the vaccine has still not been evaluated in pregnant women. How can they claim its use is recommended for pregnant women when it’s never been evaluated? With so much controversy relating to vaccine ingredients and female fertility, isn’t it logical that vaccine manufacturers would have carried out studies to try and prove the effectiveness of their product? The fact that this information is not available can only lead us to assume that the results did not turn out favourably for them. On the World Intellectual Property Organization, a patent for a “fertility impairing vaccine” is listed under The University of Georgia Research Foundation, in which Tween 80 (Polysorbate 80) is listed as a preferred ingredient. A shocking United Nations population division policy brief from March 2009 asks the question: “What would it take to accelerate fertility decline in the least developed countries?” and states “fast population growth, fuelled by high fertility, hinders the reduction of poverty and the achievement of other internationally agreed development goals”. What kind of sick organisation has a stated goal of ‘fertility decline’ in human beings? And who from that organisation bothered to consult the populations in question and ask if they agreed with the plan for reducing fertility among their population? As more couples struggle to fall pregnant, the dangers of Polysorbate 80 in vaccines will be exposed in greater detail.